Necromancer is Elder Scrolls Online’s 6th class, introduced in Elsweyr update. 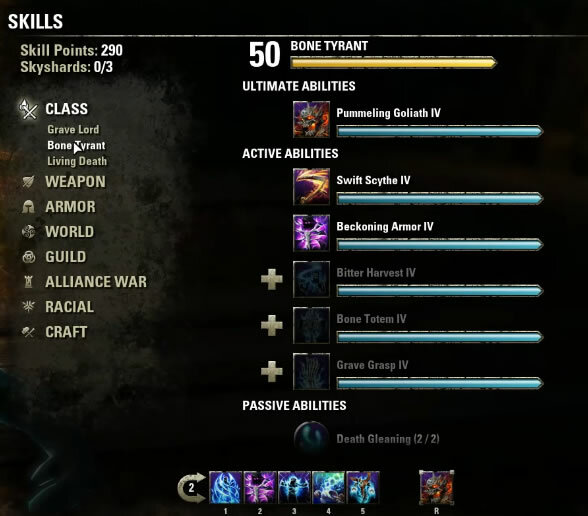 Necromancer class is focused on damage dealing, and many abilities have both magicka and stamina morphs available to suit different playstyles. The following Necromancer guide will give you a basic overview of abilities, morphs, but also some gameplay tips, combat tricks, and some builds to get you started. 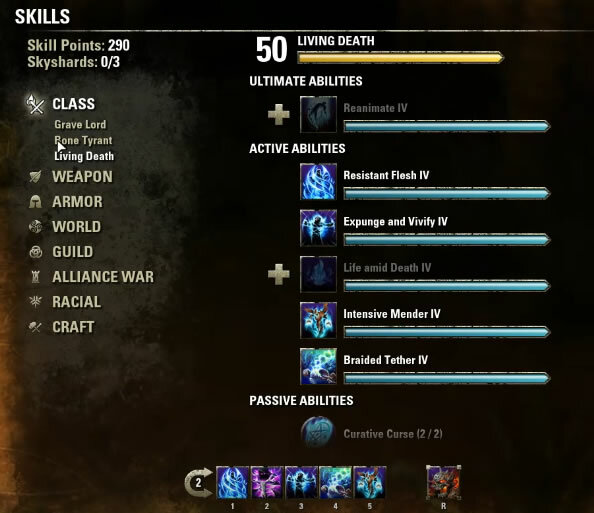 Like all other classes, Necromancer also has three class skill trees. They are Gravelord, Bone Tyrant and Living Death. Grave Lord is Necromancer’s main damage-dealing skill line. 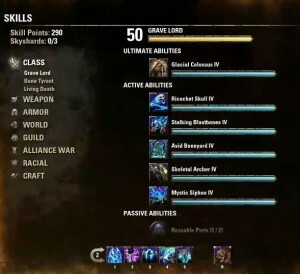 Below is an overview of active and passive abilities. Flame Skull – Lob an explosive skull at an enemy, dealing Flame Damage. Ricochet Skull – Every third cast also deals increased damage and bounces to nearby enemies. Blastbones [c]- Summon a flaming skeleton after a short delay. Skeleton runs after your target and explodes, dealing flame damage to nearby enemies. Creates a corpse upon death. Stalking Blastbones – Skeleton deals increased explosion damage for every second it spends chasing enemies. Blighted Blastbones [s] – Deals disease damage, reduces healing received on enemies hit, and applies Defile effect to enemy. Boneyard – Desecrates the ground at the target location, dealing frost damage over time. Consumes a corpse on cast dealing additional damage. Allies standing in Boneyard can activate Grave Robber synergy, dealing frost damage in the area and healing you for the damage done. Avid Boneyard – Allows you to use the Grave Robber synergy. Unnerving Boneyard – Applies Major Breach to enemies in the area, reducing their resistances. Skeletal Archer [c]- Raises a skeleton mage to fight for your side, attacking the closest enemy every few seconds with shock damage. Creates a corpse upon death. Exploding Mage – Mage deals damage around it when it lasts full duration. Skeletal Archer [s] – Skeleton deals physical damage, and increased damage with each attack. Shocking Syphon – Drains the last spark of life from a corpse, dealing shock damage over time to all enemies around the corpse and between you and the corpse. Mystic Syphon – You restore magicka while siphoning corpses. Detonating Syphon [s] – Deals disease damage. Corpse explodes at the end of the siphon, dealing additional damage. Frozen Colossus [c]- Unleash a Flesh Colossus to pulverize enemies in the area. Colossus smashes the ground three times, dealing frost damage and applying Major Vulnerability, increasing damage taken by 30%. Glacial Colossus – Final smash stuns all enemies hit. Pestilent Colossus – Deals disease damage, and each smash deals more damage. Reusable Parts – When an enemy dies within 4 seconds of being damaged by one of your Necromancer abilities, your next Blastbones, Skeletal Mage or Spirit Mender cast is free. Death Kneel – Increases your critical strike chance against enemies under 25% health for each Gravelord ability slotted. Dismember – Your spell and physical penetration are increased while a Gravelord ability is active. Rapid Rot – Increases damage done with damage over time effects. 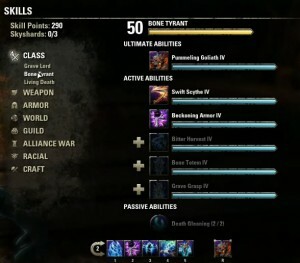 Bone Tyrant skill line is aimed at tank Necromancers. It includes a number of defensive buffs and self-healing spells. Death Scythe – Slices into your enemy’s life force, dealing magic damage. You heal for a percentage of your max health for the first enemy hit, and an additional percent of max health for every other enemy hit up to 5 additional enemies. Swift Scythe – You gain a heal over time effect for a percentage of your max health. Ruinous Scythe [s] – Converts to a stamina ability and prevents healing done to your target for a few seconds. Summoner’s Armor – Wraps you in hardened bone, granting you Major Resolve and Major Ward, increasing physical and spell resistances. Creates a corpse when completed. Beneficent Armor – Reduces the cost of your Necromancer summon abilities. Beckoning Armor – Pulls in enemies who strike you with ranged attacks. Bitter Harvest – Saps life from fresh corpses, healing you for a percentage of your health and additional health per each corpse. Deaden Pain – Each consumed corpse grants Major Protection, reducing your damage taken. Necrotic Potency – Each corpse consumed gives you Ultimate. Bone Totem – Calls forth an Effigy of Bone giving you and your allies Minor Protection, reducing damage taken. After a brief delay the totem instills fear in enemies, holding them in place for a few seconds. Remote Totem – Totem can be summoned up to 28 meters away. Agony Totem – Allies can activate synergy dealing damage over time and applying Minor Vulnerability to enemies. Grave Grasp – Summons skeletal claws from the ground, snaring enemies by 50% and inflicting Minor Maim, reducing their damage done by 15%. Empowering Grasp – Hitting you or allies grants Empower for a few seconds, increasing the damage of next light attack by 40%. Hitting skeletal mage or spirit mender enhances them for a few seconds, increasing their effectiveness by 40%. Ghostly Embrace – Each path can immobilize enemies for a few seconds. Bone Goliath [c] – Transforms you into a life draining Bone Goliath, increasing your max health and immediately restoring health. While transformed your light and heavy attacks restore health. Ravenous Goliath – Gain an aura draining nearby enemies of their health every second. Pummeling Goliath – Gain an area of effect bash attack. Death Gleaning – While a Bone Tyrant ability is slotted, you restore magicka and stamina every time an enemies near you dies. Disdain Harm – While a Bone Tyrant ability is active, reduces damage you take from damage over time abilities. Health Avarice – Increases your healing received for each Bone Tyrant ability slotted. Last Grasp – Increases your max health. 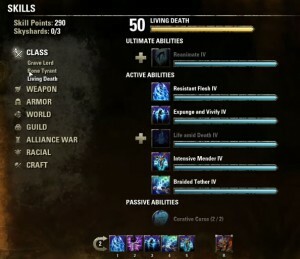 Necromancer’s Living Death skill line is aimed at healers. A great deal of skills here is focused on protecting yourself and allies from harm. Draw from the power of life and death to replenish and restore your allies. Resurrect your defeated comrades or allies and keep them in the fight. Render Flesh – Heals you or an ally in front of you, but applies Minor Defile to you for a few seconds, reducing healing received and health recovery. Resistant Flesh – Grant resistances to healed target equal to half the amount healed. Blood Sacrifice – Consume a corpse to heal a second target. Expunge – Removes up to 3 negative effects from yourself, and restores magicka or stamina over seconds, depending on which maximum is higher. Expunge & Vivify – Also restores a smaller amount of your lower resource. Expunge & Modify – You restore more resources for each negative effect removed. Life and Death – Releases residual fragments of fallen souls at the target location, healing you and your allies. Consumes a corpse on cast to continue healing you and your allies for a few seconds. Enduring Death – Consumes up to 5 corpses, extending the heal over time duration for each corpse. Renewing Undeath – Consuming a corpse also removes up to 3 negative effects. Spirit Mender – Conjure a ghostly spirit, healing you or lowest ally near you every 2 seconds for 16 seconds. Creates a corpse on death. Spirit Guardian – While the spirit is active, a percentage of damage taken by you is transferred to the spirit instead. Intensive Mender – Spirit’s heals are increased three times but lasts half as long. Restoring Tether – Creates a tether between you and a corpse, healing yourself or allies over 12 seconds. Braided Tether – Also heals allies in a radius around you. Mortal Coil – While siphoning a corpse you also restore stamina. Reanimate – Resurrects up to 3 allies at a target location. Renewing Animation – You restore magicka and stamina for each ally you resurrect. Animate Blastbones – You also consume up to 3 corpses in the area and summon Blastbones. Curative Curse – Your healing done is increased by 8% while you have a negative effect on you. Near-Death Experience – While you have a Living Death ability slotted, your Critical Strike Chance with all healing abilities is increased by up to 20%, in proportion to the severity of your target’s wounds. Corpse Consumption – Once every few seconds, you generate Ultimate whenever you use an ability on a corpse. Undead Confederate – Your magicka and stamina recovery is increased while you have a Necromancer summon active. Necromancer builds for DPS (damage dealing), healing and tanking will be live shortly. Stay tuned! Magicka-based damage dealing build for Necromancer focuses on using a Destruction Staff. This type of build is most recommended for beginners looking to level quickly, or deal damage in dungeons. Stamina builds for Necromancers are overall slightly less efficient for damage dealing, but they can work in almost any endgame content. Nercomancer’s Living Death skill line has plenty of healing abilities allowing them to keep allies alive in combat. 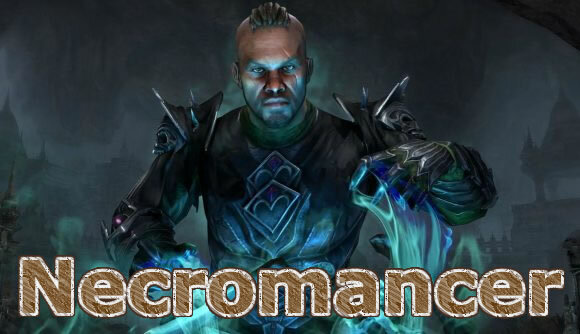 Paired with some other Necro abilities, and spells from Restoration Staff skill line, Necromancer can become very decent healers. Bone Tyrant skill line has a decent number of defensive buffs and offensive debuffs aimed at tank Necromancers. Here’s a basic rundown of skills and items you should use for Necromancer tank builds. For Magicka DPS it’s best to choose High Elves or Dark Elves. For Stamina DPS builds Redguards, Orcs, Nords are top choices. For healing builds Argonians, Bretons and High Elves are best choices. For tanking builds consider Redguards, Orcs or Nords. For magicka builds, my usual go-to race are Bretons. Their magicka cost reduction passives are irreplaceable. For tanking or stamina DPS builds I always prefer Redguards: their stamina restore on attacks are very beneficial. For a more thorough overview of racial passives see Racial Bonuses Comparison guide. Attribute allocation for Necromancer are fairly standard just like with other classes. I typically prefer about 20 points allocated in Health. Slightly higher health pool is always good to have in dungeons or trials. Rest of the points should be allocated into either Stamina or Magicka, depending on whether you play a stamina or magicka based build. 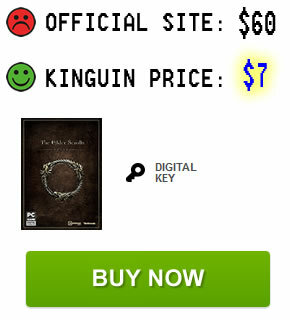 It’s either one or the other, as mixing both of these stats is not recommended. Regardless of your choices, attributes are very cheap to change at any time, so don’t worry about trying various option to see what suits you. If you’re ever strapped for cash, take some time to go through this gold making guide which will easily help you make more than enough even if you’re a beginner player. Much like attributes, your equipped items and item sets also depend on the type of build you play. Here are some of the item sets you can use, beginning with the ones which are easy to get, or cheap on guild stores. Best tanking item sets: Plague Doctor, Ebon Armory, Fortified Brass, Imperium. Best stamina DPS item sets: Hunding’s Rage, Night Mother’s Gaze, Twice Fanged Serpent, Vicious Serpent, Automaton, Briarheart, Spriggan. Best healing item sets: Spell Power Cure, Worm Raiment, Healing Mage, Sanctuary, Kagrenac’s Hope, Bright-Throat’s Boast. Stamina DPS – Stormfist, Velidreth, Selene, Kra’gh, Sellistrix. Magicka DPS – Illambris, Balorgh, Valkyn Skoria, Grothdarr, Slimecraw. Healing – Earthgore, Symphony of Blades, Chokethorn, Engine Guardian. Tanking – Lord Warden, Blood Spawn, Thurvokun, Mighty Chudan, Scourge Harvester. Some of Necromancer’s abilities are Criminal Acts. Since Necromancy is illegal in Tamriel, if you use certain abilities next to NPCs, you will receive a bounty. This works similarly to thieving. Performing necromancy acts such as raising the (un)dead is therefore not recommended while near NPCs. Abilities considered Criminal Acts include Skeletal Archer, Bone Goliath, Frozen Colossus, and Blastbones. The five other classes all have their strengths and weaknesses. 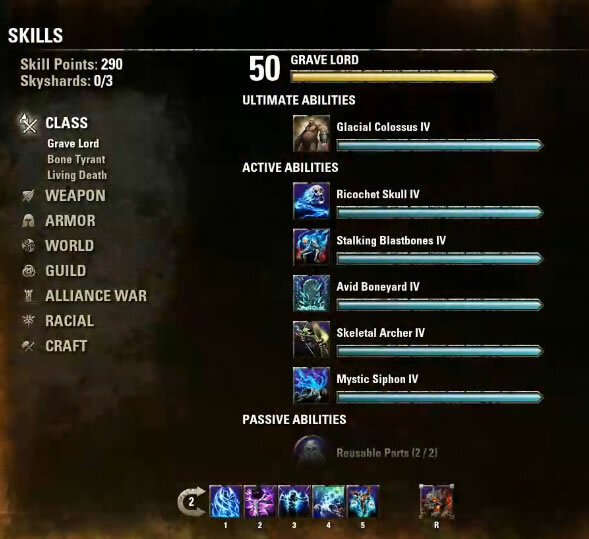 Given ESO’s skill line system, all classes can be effective at different roles, and Necromancer is no exception. For the most part, Nercomancer players are interested in their damage dealing potential. Necro’s class abilities don’t bring anything unique to the table, but they can be equally good as other classes with both stamina and magicka builds. Necromancer healers are an unusual choice, but they have a good deal of helpful abilities which can keep your allies alive. Templars remain the easiest healing choice in the game, but any class can be effective in this role and Necromancers are no exception. The same is true for tanking. Necromancy has a good amount of lore and history in The Elder Scrolls, and players finally have the opportunity to play around with the dark arts. I think the Tank Role is going to be a bit more of a choice with all the AOE CC and utilities that many tanks lack, I can see a bunch of Shadowknight and Deathknight builds coming out of this. Tank necros are probably going to be very popular, at least at first. There doesn’t seem to be anything to make them inferior to other tanks, and self-sustain will be fun in veteran dungeons. Death Scythe and Grave Grasp seem particularly useful, but we’ll have to see the numbers once they’re finalized.